Marcus Rashford may have been absent from Manchester United‘s win over Watford on Saturday, but that didn’t stop him celebrating with a relaxing Sunday afternoon out with his girlfriend. The 20-year-old, who was suspended for the 2-1 win at Vicarage Road, was pictured walking through the leafy Altrincham suburb of Hale with his partner Lucia Loi. 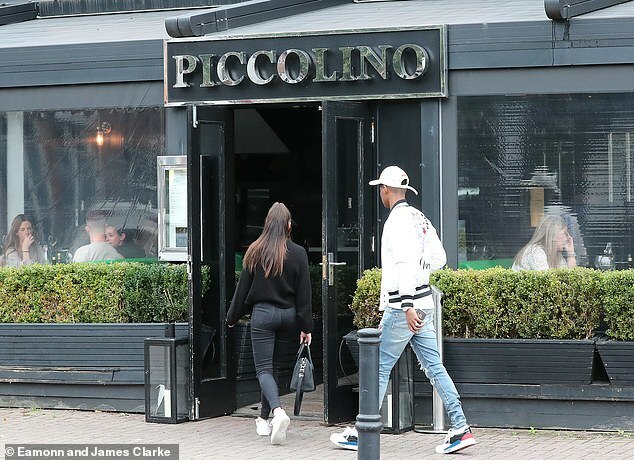 They were heading to the popular Italian eatery Piccolino, where they enjoyed lunch together as Rashford made the most of his afternoon off from training. The restaurant has grown used to the stars of Manchester’s two biggest clubs dropping in and recently hosted Rashford’s team-mates Chris Smalling, Andreas Pereira and Scott McTominay. It would have been the perfect way for Rashford to forget about a troublesome week in which is has found himself in the spotlight through no fault of his own. Indeed, it was Jamie Carragher’s suggestion that he should leave Old Trafford that sparked a debate that angered Jose Mourinho. The Sky Sports pundit, speaking after Rashford scored the winning goal for England against Switzerland last week, said the striker may have to switch clubs to reach his potential and suggested Everton as a possible destination. 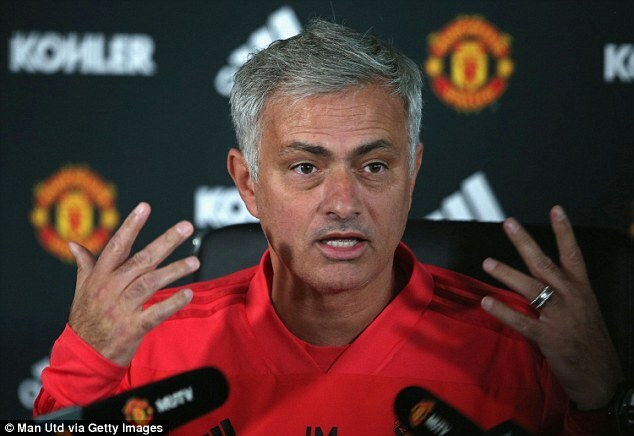 Mourinho hit back in his press conference prior to the Watford match, coming armed with a ton of statistics that seemingly prove Rashford is getting the required amount of playing time. ‘In the season 2016-17, Marcus Rashford played 32 Premier League matches and 11 Europa League matches including the final. Three in the FA Cup,’ he said. ‘He had 53 appearances. But if you want minutes, he played 3,068 minutes. If you divide that by 90 it is 34.2 matches of 90 minutes in 2016-17. ‘In 2017-18 he played 35 Premier League matches, eight Champions League, five FA Cup — including the final — three League Cup and the Super Cup. Further backing up Mourinho’s point, statistics compiled by Opta show Rashford has played 108 games since the Portuguese took charge in 2016. No other Manchester United player has featured more.